After a four months hiatus from Malaysia — more on that later — on June 22nd 2017 I boarded Scoot’s new flight from Athens to Singapore. We wanted to return to Southeast Asia, get a 60 Days Indonesian visa, and then embark on a Pelni boat from Sulawesi to West Papua (which ended up with a crazy bicycle trip in Sulawesi). It’s amazing to know that these days there are more cheap flights to Europe from Singapore: this new cheap Scoot air route between Europe and Asia opened just a couple days before on June 20th 2017, so we got a very good price. Alas, costs are still low on this new important low-cost connection. 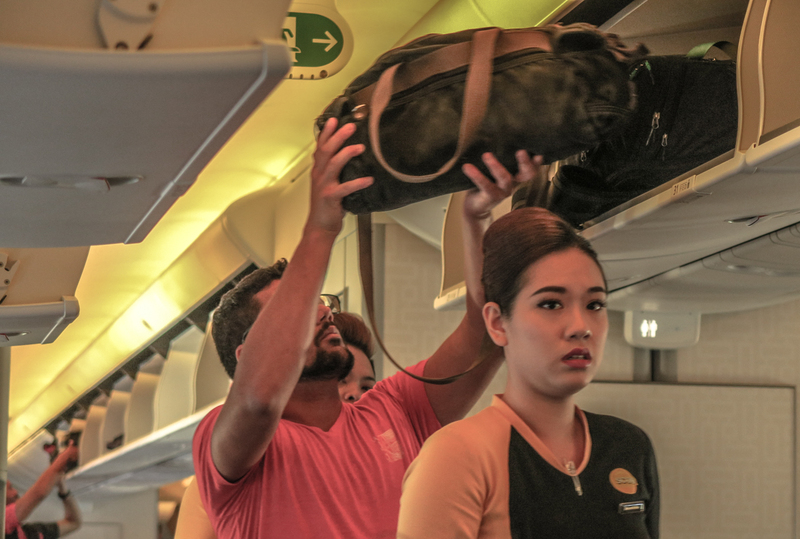 After AirAsia opened — and failed — routes to London and Paris , Scoot’s flight from Athens to Singapore may currently be the cheapest way to reach Southeast Asia and, with little trouble finding onward connections, also our home in Penang. 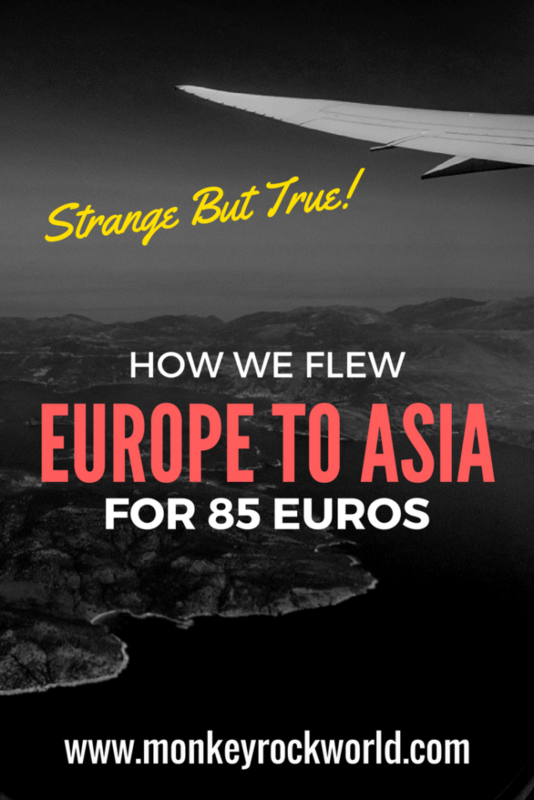 We were lucky enough to get one of the early bird fares, and got ourselves a ticket for the incredibly low price of 85 euros taxes included — seriously, how can you beat that? If you find me useful, why don’t you Pin Me for Later? Thanks a million! 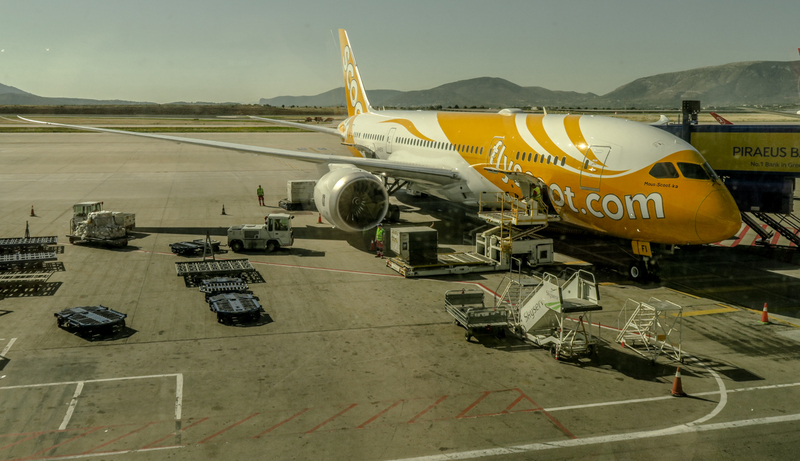 Scoot Airlines Review: How is Flying Scoot from Athens to Singapore? 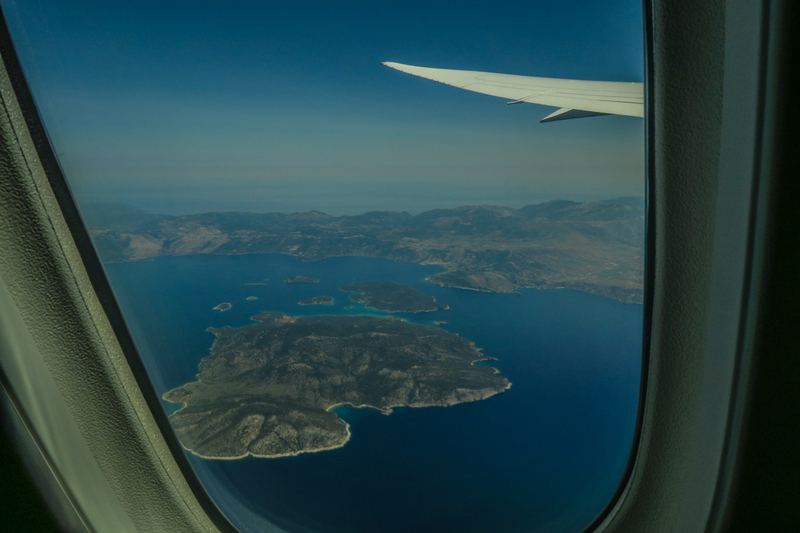 The following is my honest Scoot flight review of the 11 hours and 30 minutes long haul Athens to Singapore flight that landed me and my wife back home in Southeast Asia. We arrived three hours before the flight and Scoot check-in operations in Athens’ airport were already opened. We only had carry on luggage: Scoot has one bag, 10kg cabin baggage policy, but even if we had two — one 40 and 50 litres backpacks, plus a smaller bag for camera equipment and laptop each — we didn’t have any problem at the check-in desk. The whole process was smooth, and the flight was on time. We started queuing up for boarding at 10.50 am as listed on the ticket. All the staff was courteous and managed the flow of a large number of passengers — obvious, given the cheap price — pretty well. By 11.10 am, we were already seated in our destined row, and waiting for our scheduled 11.30 am departure. It’s a badass, brand new and shiny Boeing 787–8 with three rows of comfortable triple seats. The best part is that even if flying economy, the seats have much wider legroom and more space to recline the seat than other competing Asian low-cost airlines. The overhead compartments are definitely bigger than average, and we had no problem fitting our luggage at first try. The extra space and airy cabin make you feel good when having such a long flight ahead. Of course, there are no screens for in-flight entertainment — as expected for a low cost, but a bit of a bummer when this flight’s normal price hovers at around 250 Sing$. There are four toilets in the rear part of the plane we were sitting at — Row 36. During the flight, we never had to wait too long to find an empty loo, and they were all very clean. Kudos to that, and our fellow passengers, who aimed correctly to the hole, and not the floor. Much appreciated, as I was barefoot for the whole length of the flight. First thing first, cute and friendly. I like the yellow and black uniforms that hint to a cutesy mix between a pop-yeh-yeh band and the Star Trek crew, and I think that the quality of their service is overall pretty good (as we reconfirmed when flying Scoot from Lucknow to Singapore in December 2018). Stewardesses are never in your face, yet always attentive — several times, passengers had inadvertently pressed the call button, and staff arrived very quickly even if there was no need to rush. One thing I really liked about this Scoot flight — and another I took from Singapore to Amritsar in Punjab back in July 2016 — is that the captain actually engaged in conversation several times during take off and the first half of the flight. He commented on the route, one with quite a lot of stuff to see. It starts passing over the Greek islands and the lower Mediterranean, before going over Egypt on its way over the Arab peninsula. 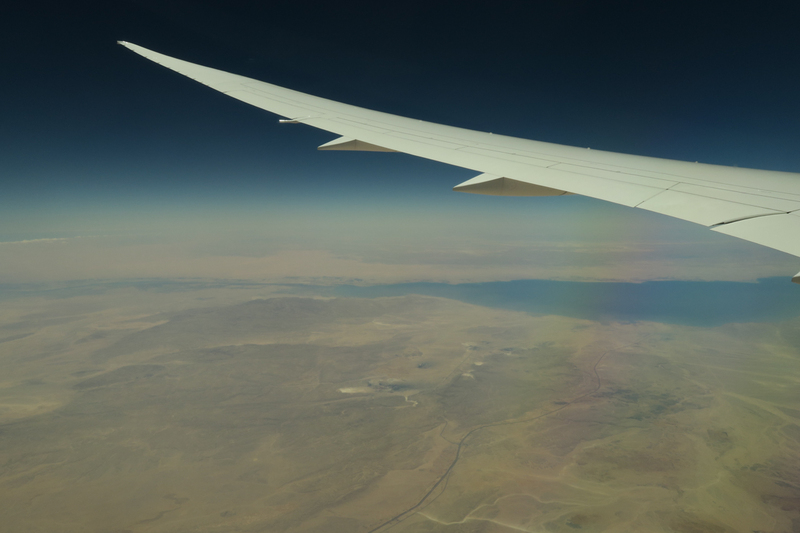 Once over Egypt, the captain made sure to point out the spot where the Pyramids and the Sphinx were located and then commented several times while we were flying over the Red Sea. The day was stunningly clear, with amazing views of the desert extending like an ochre carpet all the way to the coastline. The Red Sea’s turquoise water was wedged unnaturally between the two countries; a truly memorable view, that made me long for exploring Africa. Next year… maybe. 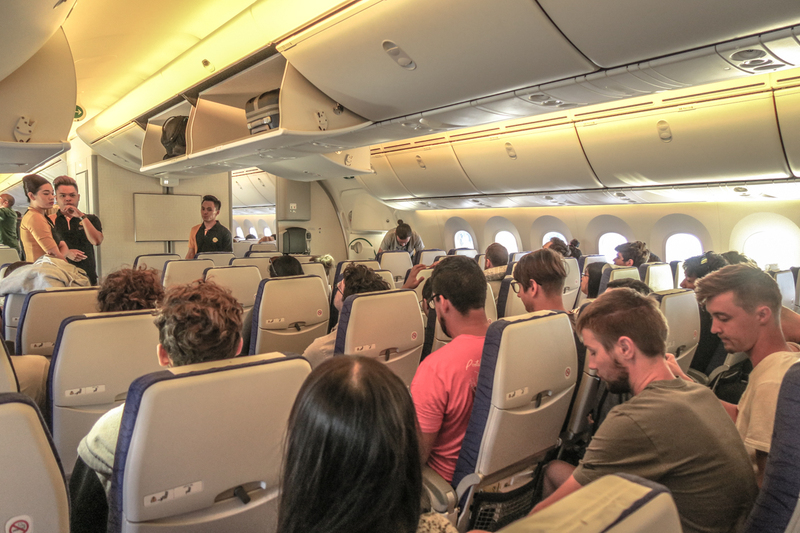 Nothing major to comment on, except that during the flight there’s plenty of space to move about, and that the stewardesses allow passengers to walk around or stand and chat. It’s quite a relief when you are flying intercontinental, and the only thing you want is time to pass fast. Indeed, as I mentioned before, this is a low-cost airline, and seats are not equipped with monitors. So, no in-flight entertainment, which comes at a premium. Same goes for in-flight wi-fi — starting at 5 Sing$. This could be considered as a real let down for many, but if you manage to get a low ticket price during promotions, as in my case, you can’t really complain. I am always surprised when an airport has a bus stand right outside the arrival hall. This should be the most basic and normal facility at any airport, anywhere in the world. But trust me, it’s not. 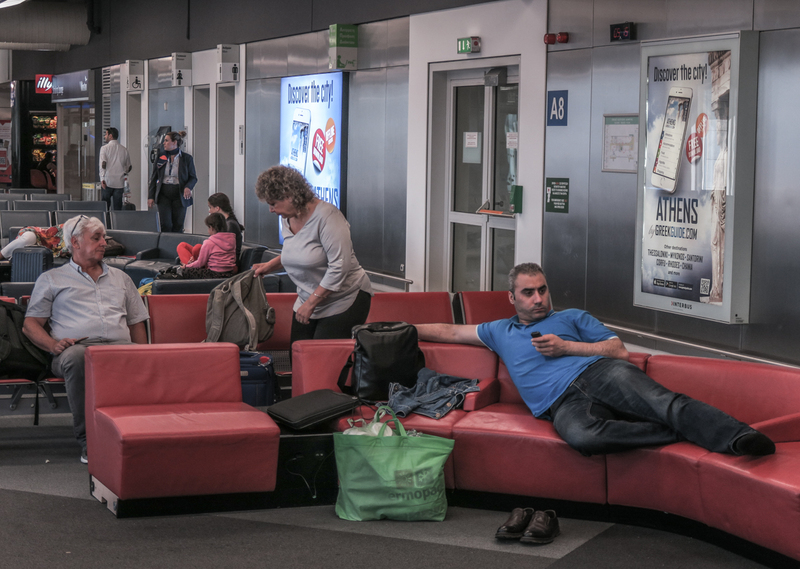 When I see a place like Athen’s Venizelos airport, that doesn’t only have convenient buses to the city center stopping right on its doorstep, but also services every 20 minutes and running 24/7, I am just very impressed. Since we stayed with a friend near the Kato Patissia Metro station, the most convenient bus was number X93. Bus X95 is also very good, as it runs between the airport and super central Syntagma square, from where one can take onward transport or walk to his hotel. The price for one-way adult is 6 euros. You can pay to the driver or, at the airport, at a dedicated kiosk right next to the bus stand. 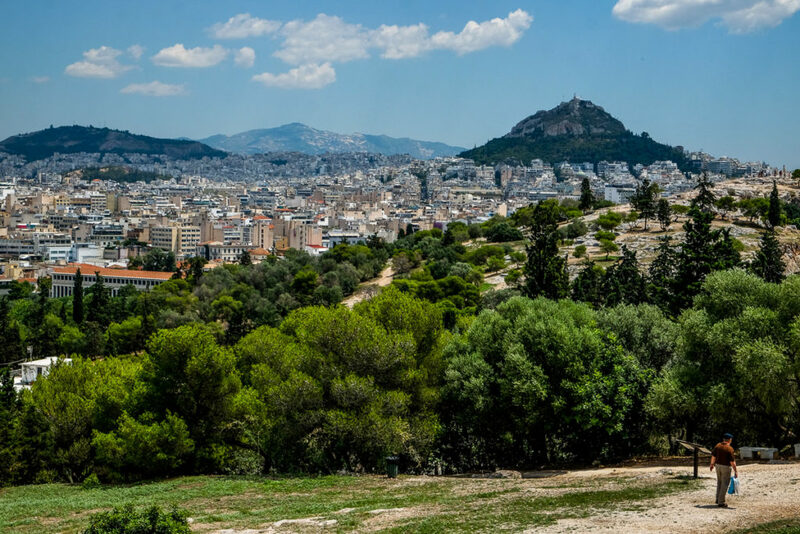 You could also take the Metro (Blue Line) for 10 euros, or the suburban train that connects to the Metro’s green line – we opted for the bus as it was cheaper and arrived very close to our destination, but you may need to go elsewhere in Athens. The trip, both ways, took about 45 minutes in normal traffic conditions. 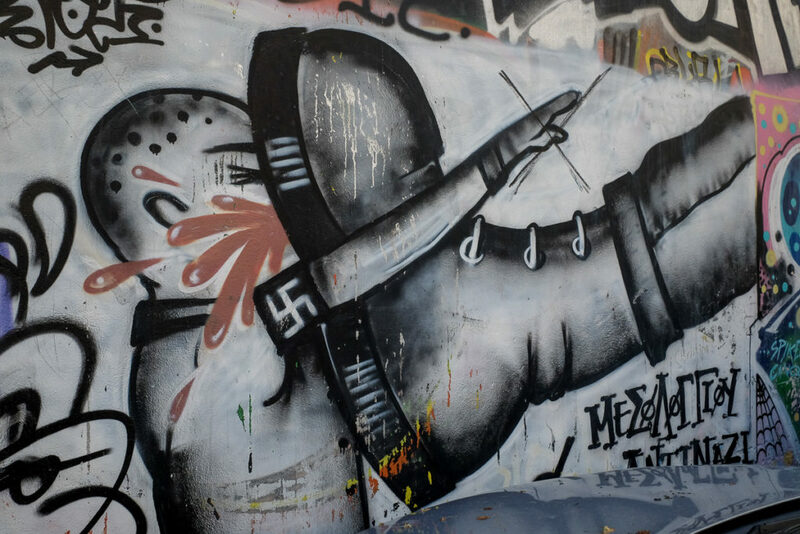 Yeah, we are alternatives, but did you really think we would not want to see THIS? Ah! The Acropolis is, of course, the monument everybody comes to Athens for. 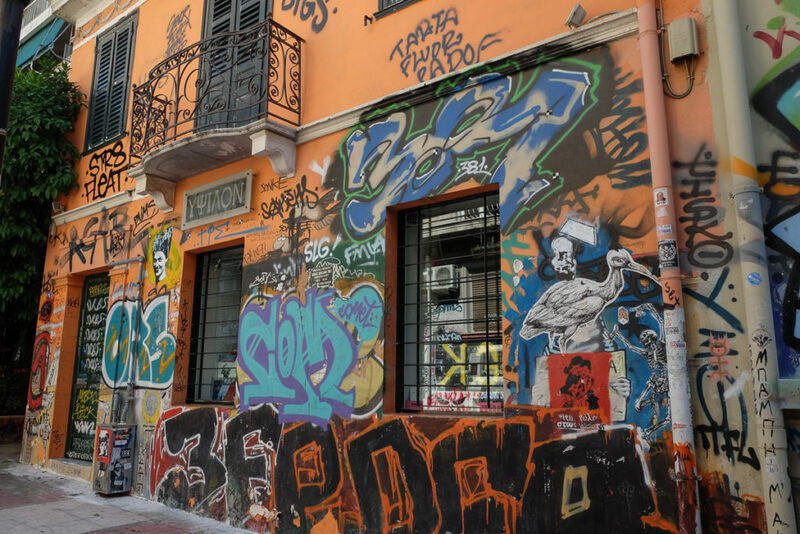 But what impressed us most was the Exarchia neighbourhood: it’s a real artistry-anarcho-political-squatter area filled with graffiti — they are everywhere — a wide choice of cafes, and alternative types and foreign migrants pottering about and drinking anywhere you look at. If I could advance a comparison, it reminded me of Rome ’s San Lorenzo’s district, in a more rugged, and definitely with a squatter-to-the-metal vibe. A cool place to hang out and have a drink, and a very different experience from the usual touristy cafes around the Acropolis and Monastiraki. Singapore’s Changi Airport is well connected to both Asia and Australia. But as we were bound home to Penang (remember that Scoot flights from Singapore to Penang are available) the following information summarizes pretty much a trip to the North — which you may as well continue to Thailand and the Mekong Region. From Changi, you can proceed to Penang using one of the many low-cost flights operated by AirAsia, Tiger or Jet Star. Alternatively, you can catch the first MRT train to Bugis at 5.30am (your flight will land at about 4.50am, Singapore time), get out and cross the road to the parking lot in Queen Street. Here buses leave to the Woodlands checkpoint — the border between Singapore and Johor Bahru — and the Larkin long-distance bus terminal in Johor Bharu for 3.30 Sing$. This bus journey takes about an hour and will get you through immigration formalities. That is, you will be able to get off, have your passport stamped in Singapore, and then board another bus of the same company — there are several plying the route — to cross the causeway and get your passport stamped again by Malaysian immigration at JB Sentral. In my experience, it’s best to bring your luggage with you when you get off the bus since drivers tend to leave if passengers get stuck in long queues. Also, even if they don’t go directly to Larkin, it’s best to get one of the more frequent Singapore Metro Buses services, such as bus numbers 160 and 170, which may save you some waiting time if the border is busy — almost all the time, based on my experience. After Malaysian border control at JB Sentral, walk downstairs and you will find more buses bound to Larkin or the AirAsia bus that shuttles passengers hourly between the border and JB’s Senai airport. It often has cheaper direct connections between JB and Penang’s airport, saving you quite an overland trip (about 10 hours in normal traffic conditions). Did you also fly Scoot to Singapore? What did you think of the flight? 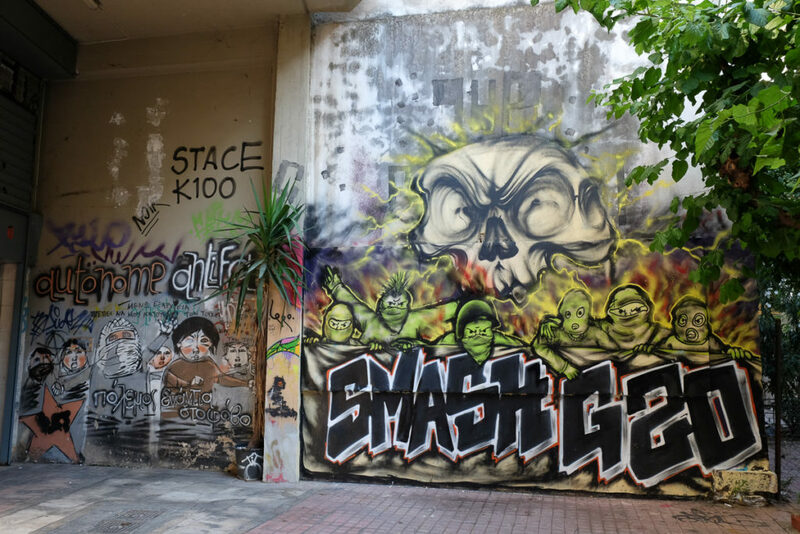 Any other worthwhile things to see and do in Athens, or alternative suggestions on how to reach North Malaysia from Changi? You can let us know in the comments below.